You don’t have to be traditional to appreciate a good ol’ steamboat reunion meal with family and friends. 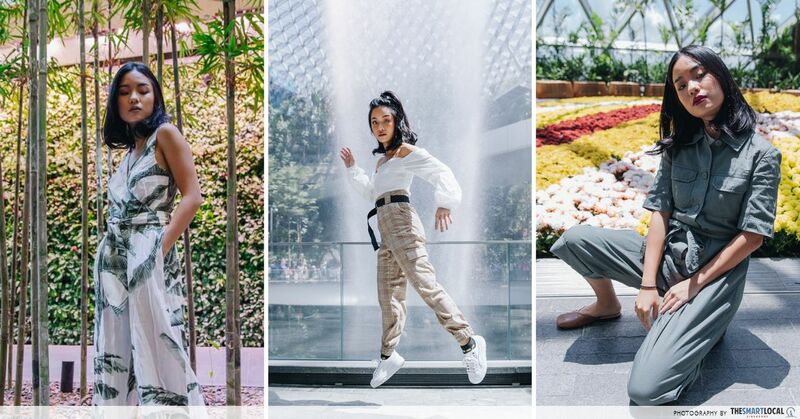 As we grow older, spending quality time with our family seems to matter more than just snacking on festive goodies and counting angpao money. That said, having your reunion meal in the comfort of your own home does come with a fair amount of meticulous planning and hassle because, really, who can rightly estimate getting enough food for everyone who’s going to be huddling around the steaming hot pot? 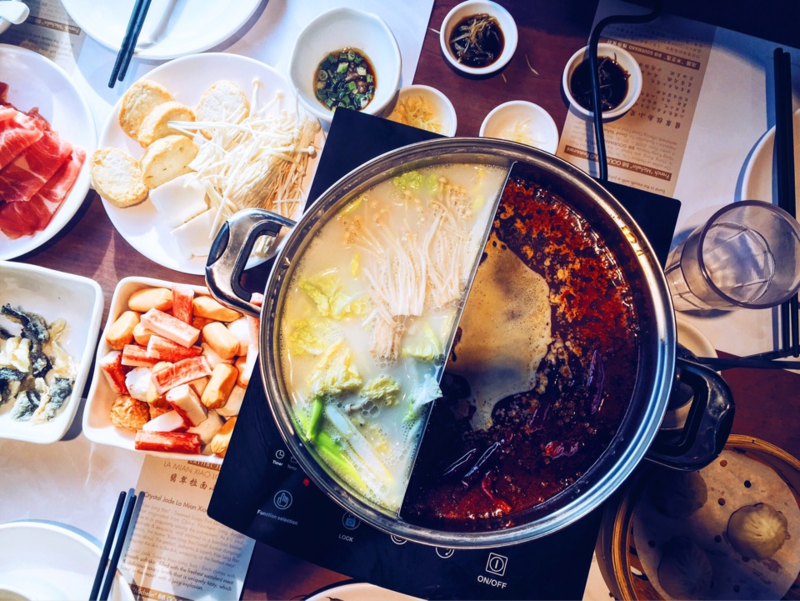 If you are looking for an easier way out but are not prepared to deplete your savings dining at a fancy restaurant, here are 10 home delivery steamboat options that will put you in your relative’s good books! Yes, you heard it right - everybody’s favourite hot pot place actually provides delivery service. Pick from their delivery set meals good for parties of 2-8, or customize your order with their a la carte menu. While the prices are steep, you won’t even have to worry about pre-dinner prep. Everything from cutlery and bowls, to tissue paper and portable bin will be brought straight to your doorstep. 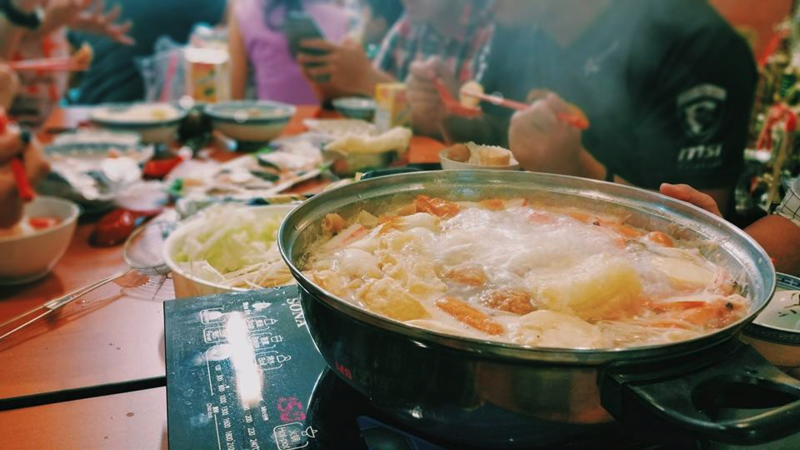 If you’ve ever dined at Beauty In The Pot, you’ll know that showing without a reservation made at least a week in advance means joining the perpetual queue of collagen hotpot lovers who know where it’s at. Skip the queue and fuel up their creamy collagen goodness in the comfort of your home without the hassle of queuing or barging your way through the sauce counter. 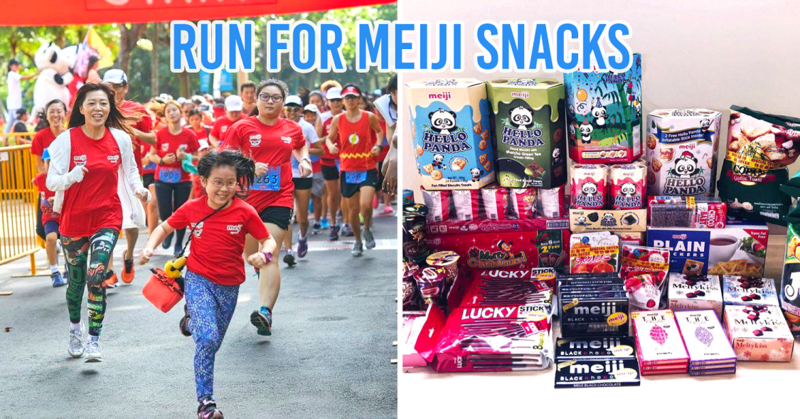 With three available sets for you to choose from based on persons eating, you can expect to tuck into their full range of signatures like their US Angus Prime Short Ribs, melt-in-mouth homemade fish tofu, ebiko fish paste and deep fried bean curd rolls. 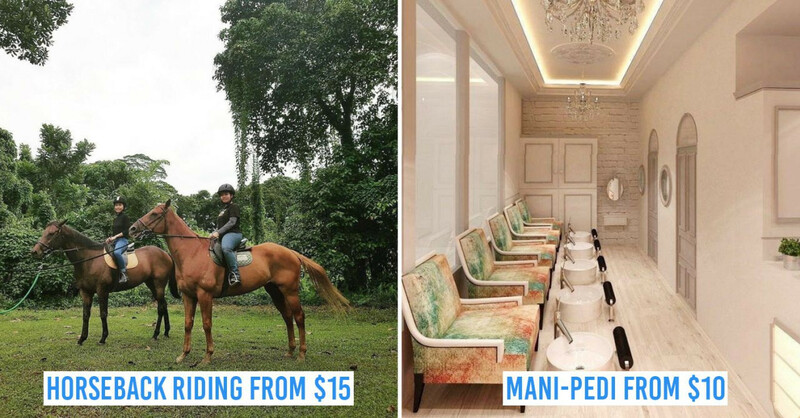 Prices range from S$215++ to S$305++ for 5; S$350++ to S$530++ for 10. 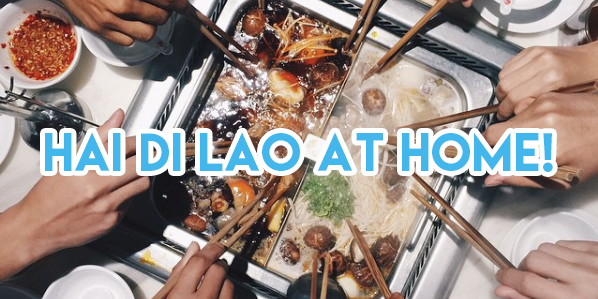 Like Hai Di Lao, the folks at Beauty In The Pot go the extra mile to provide your posse with all the basics like the pot, induction cooker, a full set of crockery ware and even the frills like disposable table covers and aprons to give you the full BITP experience. 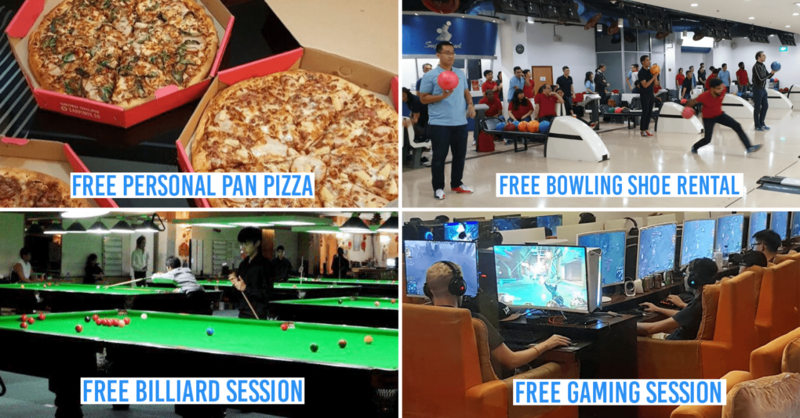 A relatively new concept under Paradise Group, Paradise Hotpot is nothing like what most of us are used to when we mention the word ‘steamboat’. 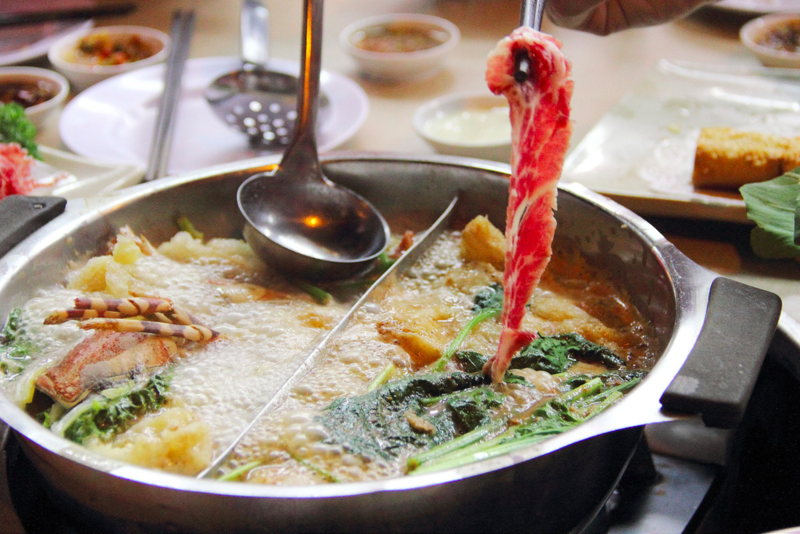 A little unorthodox but refreshing at the same time, instead of the big pots we are all too familiar with, this Hong Kong-style steamboat comes in individual portions. Tomato with Sweet Corn Soup to Satay Soup. 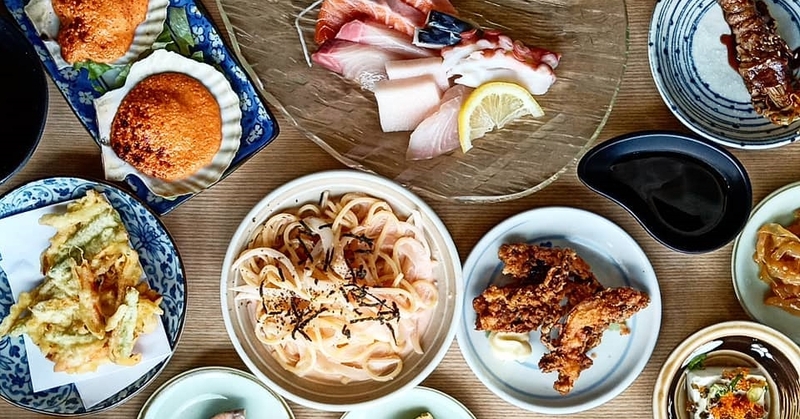 Pick your soup base according to your fancy, specify the number of diners there’ll be, and furnish your steamboat dinner by ordering everything under sun from dumplings, assorted fresh vegetables, US Kurobuta pork slices, fresh seafood, mushroom balls and more. You’ll just have to hope they deliver to your address! Back in the day when Xiao Long Baos dominated the food scene, Crystal Jade La Mian Xiao Long Bao (Holland Village) was a force to be reckoned with. A unlimited supply of steaming xlbs alongside a hot pot buffet, you’d have to queue for hours just to secure a table. For those reminiscing the taste of their soup bases, you’ll be able to order your fill with their festive option available online - Premium Mini Seafood Treasure Pot. While the set comfortably serves 2-3 persons, increasing the quantity of your order will fix that! 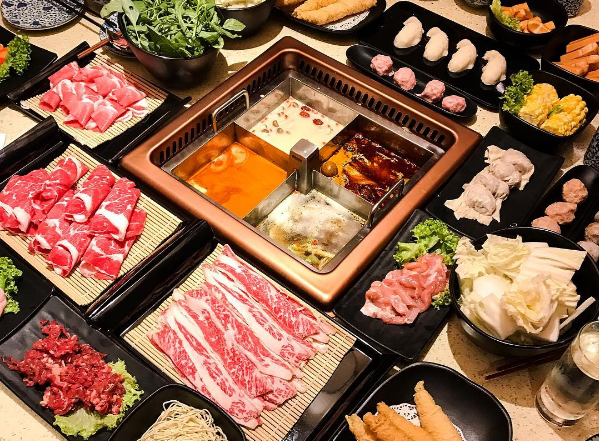 For the most straightforward steamboat experience you can possibly have, look to ordering your steamboat set from Tian Fu Hong Kong Steamboat Restaurant. 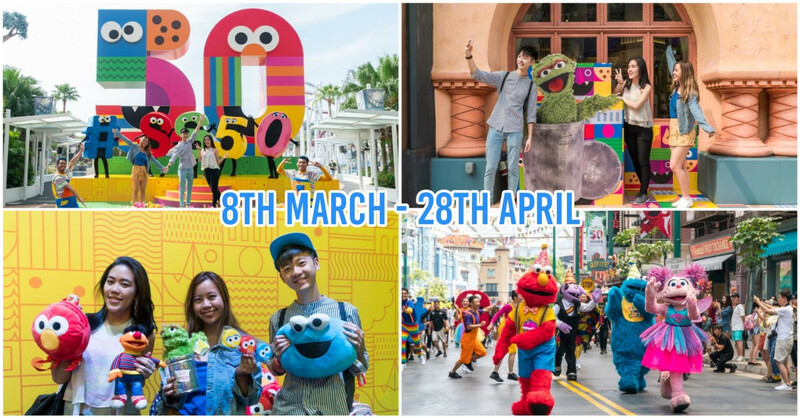 Best suited for smaller families, their sets are priced reasonably, and start from S$33 for 2 persons to S$65 for 4 persons. And if you come from a family of big eaters, you can make your reunion dinner more substantial by adding on their a la carte items like Prawn Paste Fried Chicken and Fried Wanton, or carbo load on their HK Style Fried Noodle and Seafood Hor Fun. 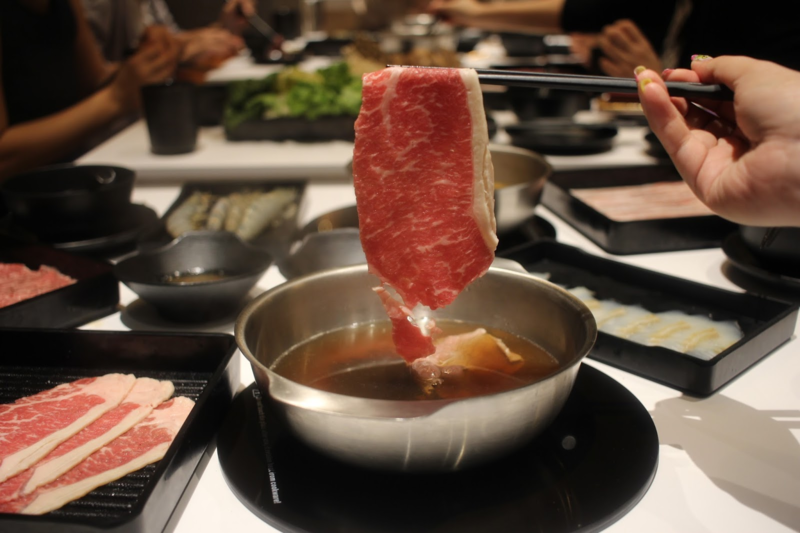 If you’re going for more quality over quantity this Lunar New Year, you can’t go wrong with Emporium Shokuhin’s range of reunion beef shabu-shabu sets. On top of their myriad of festive goodies and sets up for grabs, treat yourself to their perfectly marbled A5 ‘Miyazaki’ Brisket, Kurobuta Pork Loin and Belly, and their USDA Prime Sirloin and Ribeye cuts with sets starting from S$168. This Japanese emporium is also the perfect for you to pimp your existing steamboat with individuals orders of their A5 Miyazaki Super Jo Karubi, fresh Alaskan prawns, and French oysters. Those from big families will know the tremendous amount of effort that goes into preparing a home steamboat for the masses. Enter Happypot Steamboat. This affordable steamboat delivery provider is a Godsend for huge groups and will feed as many as 20 or 30 persons. 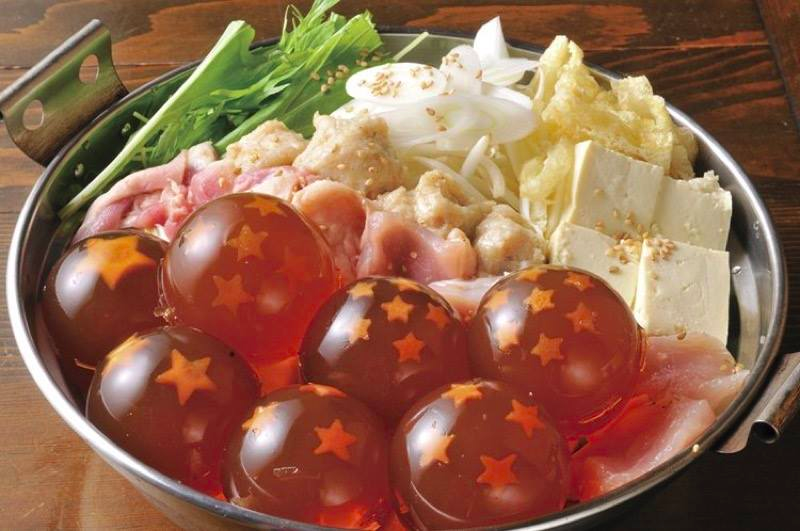 Made with collagen jelly and decked out with carrot stars, their Dragon Ball Hot Pot will also be a feast for the eyes - especially for the little ones in the house. Fans of fresh Yong Tau Foo rejoice! You can have your YTF and eat it too during Chinese New Year when you make your purchase from EatTogether. Take your pick from their ready-to-go Basic Package ($15 per pax), Premium Package ($25 per pax) or customize your own unique order from their a la carte menu, whichever tickles your fancy. Ordering is made incredibly easy on their easy-to-navigate site, too. If you love steamboats but have not heard of Mr Steamboat, ears up. 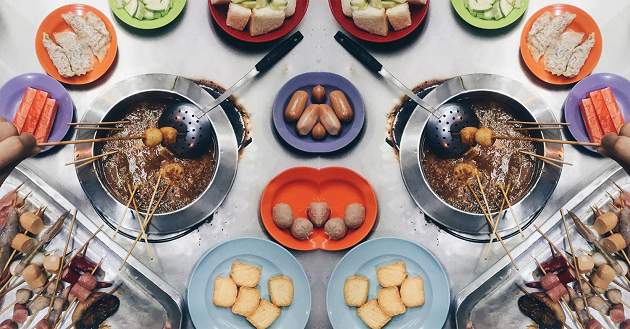 There is good reason why Singapore’s first steamboat delivery service is still so well-loved even with so many new competitors in the scene - their quality fresh food and brilliant service. From now till 20th January 2017, their early bird Chinese New Year promotions have their sets going at special discounted prices. Pick from the 6 Pax Package Special ($208 nett, u.p. $258) or the 10 Pax Package Special ($258 nett, u.p. $338). 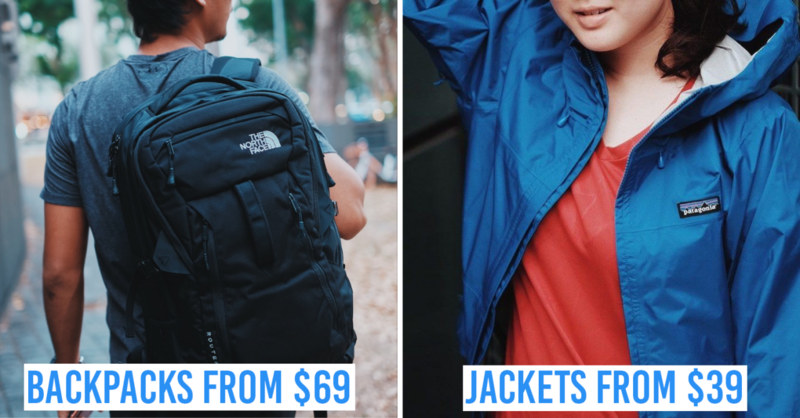 As part of this promotion, they’re also waiving their usual CNY surcharge of $30. 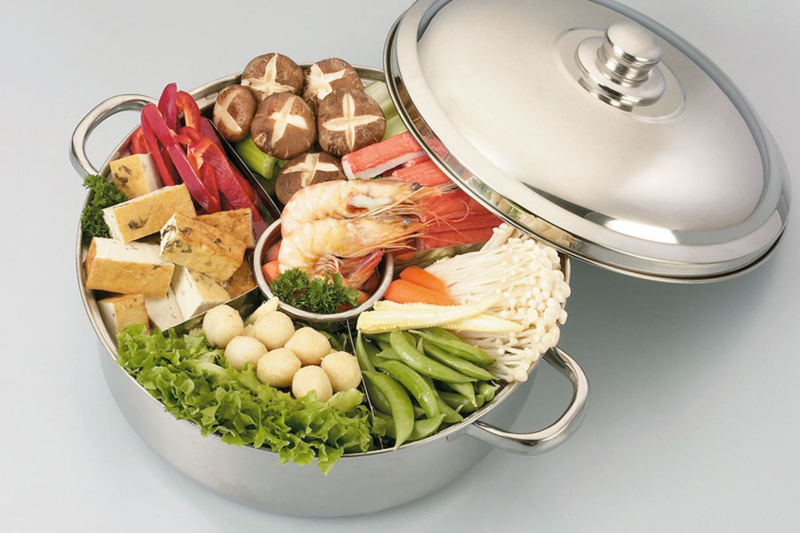 Another reliable option for your steamboat reunion dinner is The Steamboat Specialist. With their packages going at $88 and $168 for 5 and 10 persons persons respectively. 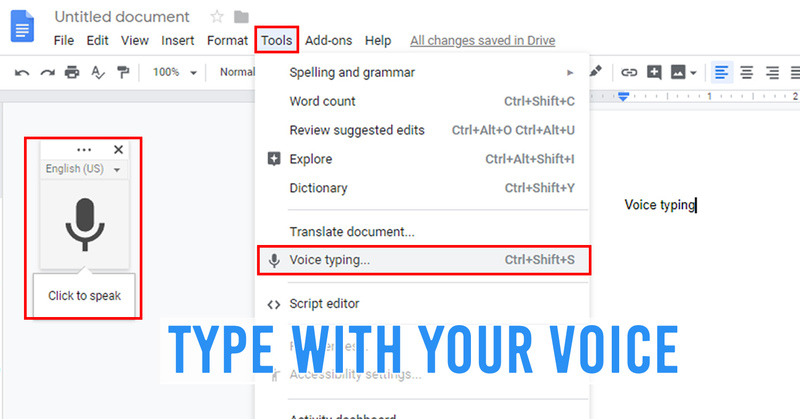 You won’t have to worry about burning a hole in your pocket. 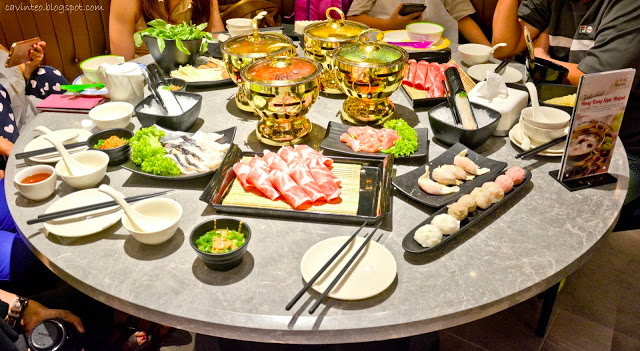 Each order comes with standard hot pot essentials like fishballs, scallops, chicken, pork, beef, and even lesser-known items like fish glue. Each order will also let you customise your order with an additional 4-6 ingredients of your choice based on the package you go for. Due to an overwhelming number of orders, remaining slots are available for 28th Jan - 31st Jan only, so fastest fingers first! 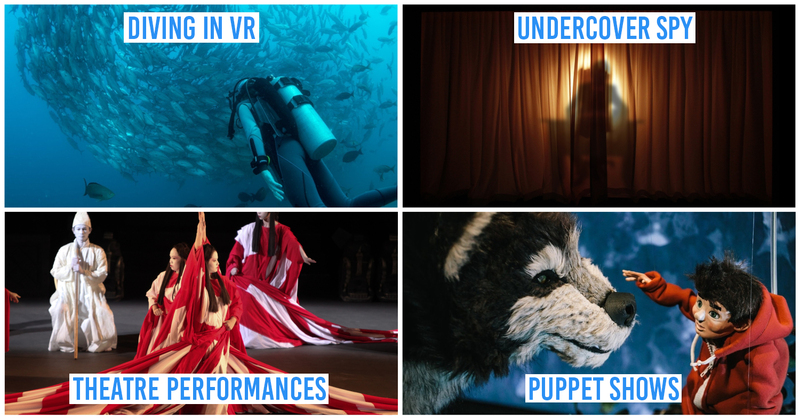 Now that we’re spoilt for choice, we won’t be left scrambling along the aisles of the supermarket trying to pick out individual items - if they’re still in stock, that is. The last thing you want to deal with this joyous season is a lack of food when the guests have all gathered at the table. After all, Chinese New Year reunion meals are supposed to embody the notion of abundance. Once you’ve got the food in place, it’s time to stock up on refreshments. The biggest challenge here is finding a drink that pleases the majority. You don’t want your health conscious relatives kicking up a fuss just because sugar laden drinks are the only thing on the menu. For many of us, nothing brings back the sweet memories of our youth quite like our favourite blackcurrant drink. This Chinese New Year, treat your loved ones to a taste of home with Ribena Sparkling. It’s the same refreshing taste we’ve come to love, jazzed up with bubbles for that extra kick of satisfaction, and loaded with vitamin C.
Those one or two weight-watching aunties won’t be raining on your parade either because this newer carbonated version comes with less sugar, and is a healthier alternative to regular carbonated drinks. You no longer have to buy 5 different varieties of soda and non-carbonated sweet tea to make sure all your folks are satisfied. And if you’re looking to bump up the class by bringing your guests a steamboat experience like no other, all it takes is a few extra ingredients like a sprig of cinnamon, a scoop of ice cream or a splash of alcohol to elevate your Ribena to a refined cocktail or mocktail. What’s more, if you’re spotted buying Ribena at selected supermarkets by the Ribena God of Fortune this festive season, you might just strike the jackpot and walk away with a cash ang pao! 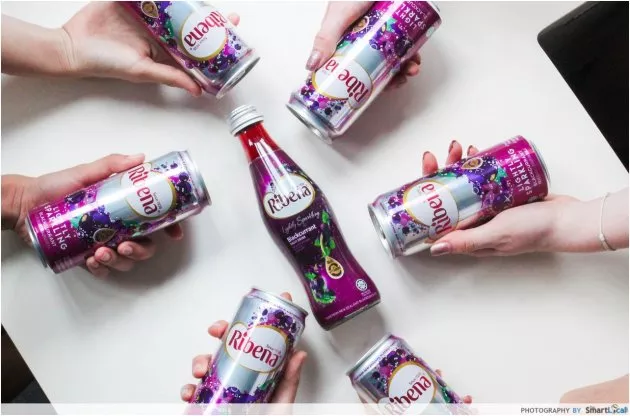 Ribena Sparkling Cans are now available at all leading supermarkets and convenience stores. 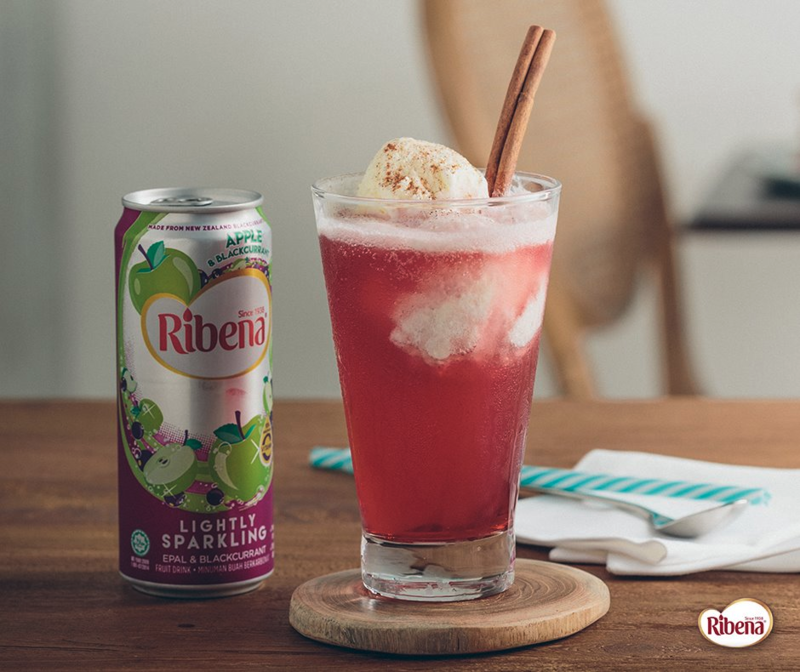 Find out more about Ribena Sparkling and their promotions on their Facebook page! This post was brought to you by Ribena.